This article details personal experiences surrounding the topic of suicide. If you need support, please contact Student Health Services and/or the Wellness Centre. Teammates are more than just the people you suit up with every day to train, practice, and represent your university. Teammates are family, people you will hold a special bond with for a lifetime. Teammates have omnipresence in the life of a varsity athlete — they are always around and there for one another. It was a beautiful, sunny April day and I was on the home stretch of finishing my first year of university. Our coaches had called a team meeting, nothing out of the ordinary. We all filed into the dressing room taking our seats in our respective stall — it was just another day at the office. As our team meeting began, our coaches entered the room as usual, but were accompanied by quite the entourage of people from the Athletics department. We knew instantly something was amiss. Yet, never in a million years could we have guessed what our coaches were going to tell us. What they had to share with us was gut-wrenching. One of our own, a Thunderbird, a goalie, our teammate, friend and most importantly a member of our family was gone. Our hearts shattered into a million pieces, not understanding what we had just been told. Her name was Laura Taylor. Laura was a third-year medical student, a goalie on our team and a constant positive presence in our locker room. Unknowingly to all of us, Laura also struggled with depression and bipolar disorder. Laura never failed to put a smile on her teammates’ faces and had an incredible work ethic, but behind her positive, outgoing façade was pain and despair. No one knew how much she struggled. On April 7, 2016 — just days before her 34th birthday — Laura ended her own life. It took a very long time for my teammates and I to digest what we had been told that day. Her death still brings me sadness. But compelled by my sadness, I became committed to ensuring that no student-athlete at UBC would ever feel like they had no support through their mental health struggles. I have been very fortunate to be surrounded by many people who speak openly about mental health and the importance of having a foundation of good psychological health for a happy and successful life. I have made it my mission to honour Laura’s death by ensuring that the dialogue around mental health is always open for my teammates and those who I surround myself with. Many student athletes experience mental health problems such as depression and anxiety, but due to a variety of reasons such as stigma and lack of awareness of appropriate health interventions, they fail to seek services for these problems. I knew that something needed to be done to address this issue. With a lot of time spent researching, identifying resources and laying out user-friendly information, UBC Athletes Hub came to life. 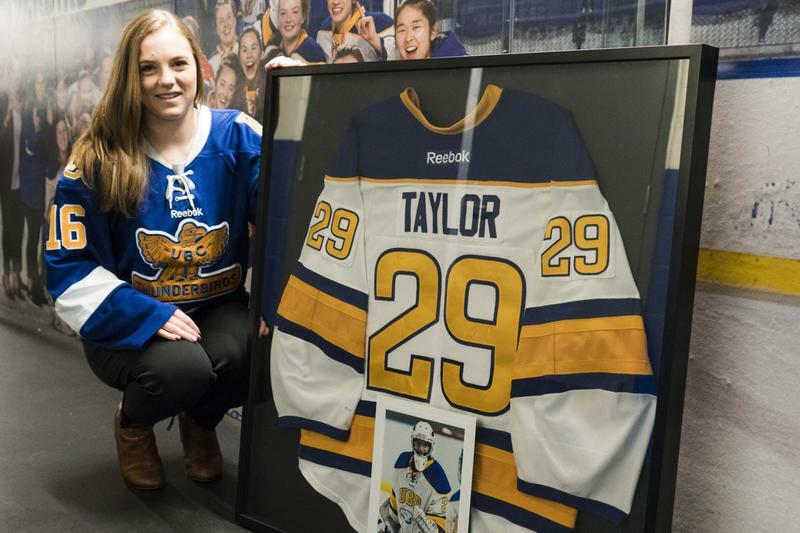 UBC Athletes Hub is Canada’s first mental health resource dedicated specifically to a student-athlete population. I didn’t bring this website to life alone. 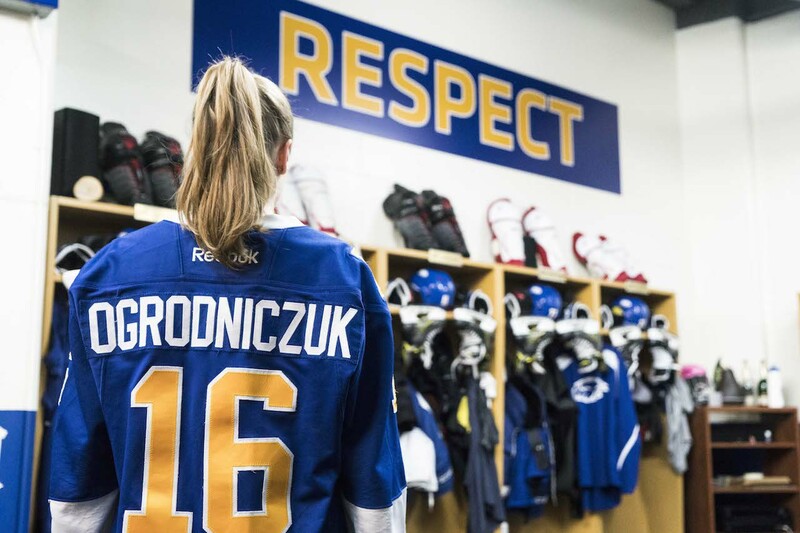 I was fortunate to work on this resource with my dad, John Ogrodniczuk, and his team in the Psychotherapy Program of the Department of Psychiatry at UBC, making it a true collaboration of mental health experts and student-athletes. This unique online resource is dedicated to increasing awareness of mental health issues, reducing stigma, promoting coping skills and helping student-athletes seeking support. If Laura were here today, I hope she would be proud of the efforts we’ve made to help improve the mental health resources available to student-athletes. The creation of UBC Athletes Hub is one way we can keep the conversation around mental health going, breaking the silence and stigma surrounding mental illness.